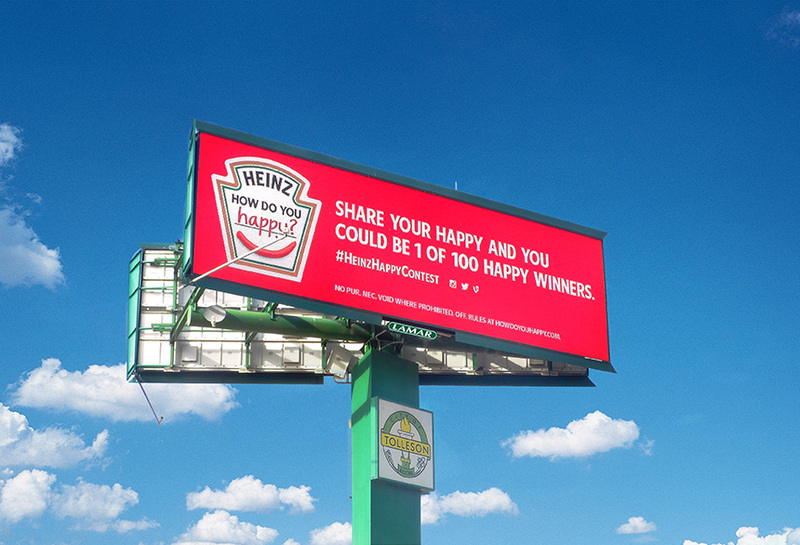 Heinz ran the #HeinzHappyContest on Lamar's digital billboards during the 2014 NFL football season. The campaign drove awareness to their Twitter page and asked fans to participate in the contest by submitting what about Heinz makes them happy. The campaign ran for a 4-week period in all of Lamar's Digital NFL markets.